Carl Sandburg – The Man – my essay | Tomas Junglander – Om idrott och annan kultur. The author and the public educator, who could have been President of the United States! Born in Galesburg, Illinois 1878. Died in Connemara, Flat Rock, North Carolina 1967. There is an American humanism that has been essential through the years. The author Carl Sandburg is an excellent representative of this humanism. 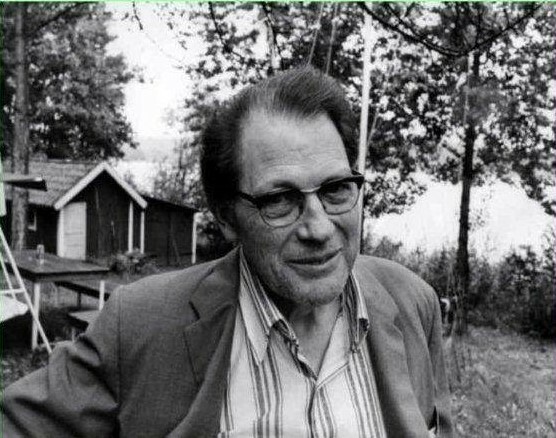 There is also a point that this poet, who meant so much for the breakthrough of literary modernism in Sweden, had Swedish parents, who, independently of each other, emigrated to the U.S. from Appuna and Åsbo in the province of Östergötland. 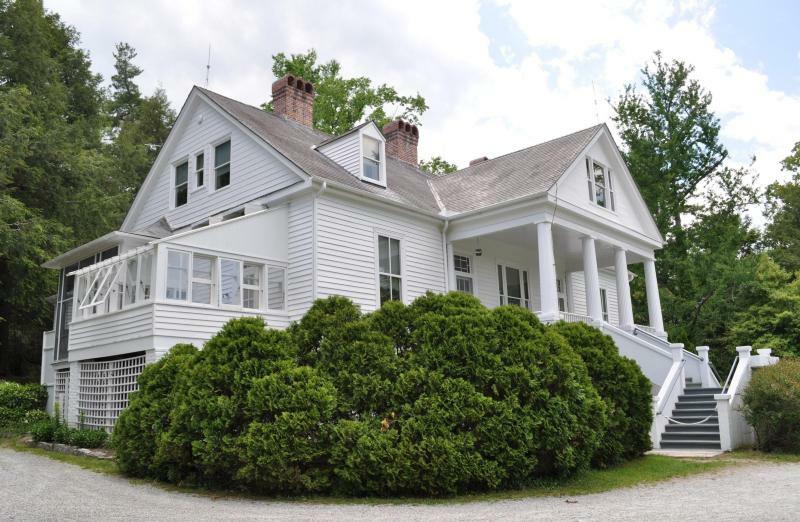 Carl Sandburg, who became one of America’s leading writers, lived at the center of his time. He was, much more than other contemporary writers, socially involved. He had a strong social pathos. He became politically interested at an early age. He committed himself to women’s equal rights, to the rights of the blacks, for shorter working hours, against the death penalty and child labor . During a visit to Sweden, both the Prime Minister and the King received his views on American politics. It is hardly known in Sweden what benefit he made to the parents’ country when he defended and declared Sweden’s attitude to American opinion during the Second World War in talks and on radio microphones. Carl Sandburg in the 1920s, when he was at the age of 45, still a literary outsider who in some circles was considered too unacademic, in other circles too political. Sandburg’s greatness lasted until the 1950s, when there were many who no longer were appealed to his poetic style. But in the 1960s, the youth movements showed Sandburg great admiration. His poetry was then read in the American schools more than the poetry of any other living writer. He used a language that was taken directly from the streets and squares, ports and workplaces. This reality met him with a new rhythm that he had to express in free verses. The powerful formal freedom of the poems caused fierce debate, but gave Sandburg a leading position in literary America.He wrote always for the ordinary man and woman, and for himself, and did not, like Pound, Stevens and Eliot, have to be explained. 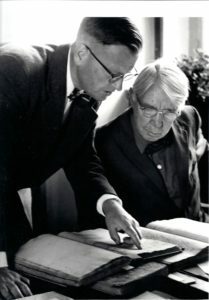 In the same way as he was inspired by his predecessor Walt Whitman, in Sweden the Nobel Prize winner Harry Martinson and Artur Lundkvist were inspired by Sandburg. He wrote a historical novel of over a thousand pages, Remembrance Rock, where he wanted to show how the Americans developed their dream of freedom and justice in the course of history. His biography of Abraham Lincoln, America’s most famous president, was received very positively even though some historians had their objections. Sandburg wrote a different biography, packed with anecdotes, newspaper stories, letters and memories. 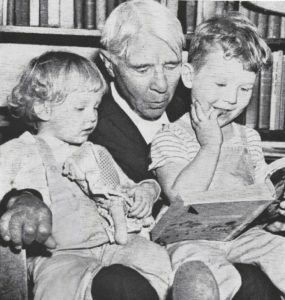 Carl Sandburg belongs to well-known adult writers who have also written for children. He created a special universe with its own geography and its own way of life in the fictional land Rootabaga. Much of the comedy in the books about Rootabaga lies in the way Sandburg names people and places. He plays with sounds, concepts and the alphabet’s letters. His autobiography, Always the Young Strangers, is about his father, August Danielsson from Åsbo and his mother Clara Andersdotter from Appuna in Sweden. About their struggle to achieve a better life for themselves and their children than had been possible in the “old country”. He also tells about life in an American small town and about the American lifestyle itself. 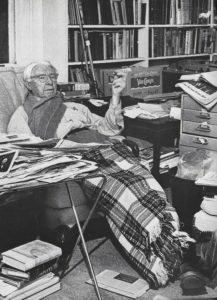 Carl Sandburg was a great collector, connoisseur and patron of folk music. He had heard America sing on his many travels. In his youth, he trampled and gathered music as he wrote down in his notebook. Eventually, people from all over the country sent songs to him. He entertained audience with guitar music and in 1927 he published “The American Songbag” with notes and arrangements for each song. Carl Sandburg worked as a journalist for 25 years. He was a social reporter, film critic and he wrote chronicles. He preferred deep analyzes over snapshots. He was a national celebrity for more than fifty years and as close to a national legend as someone could come. He was even asked if he would be available as a presidential candidate! Many influential persons also in media among them Henry Luce, considered running him for President against Roosevelt, in 1940 but Sandburg supported Franklin D Roosevelt and he refused. Henry Luce, was at this time an American magazine magnate, the owner of Time, Fortune, Life and Sports Illustrated. John L Lewis, president of the United Mine Workers, also considered running him for President in 1940. Carl Sandburg never won the Nobel Prize, despite being nominated as a candidate seven times between 1940-1959. On the other hand, he received three times the Pulitzer Prize, America’s premier literary award, partly for the biography of Abraham Lincoln, partly for his poetry. 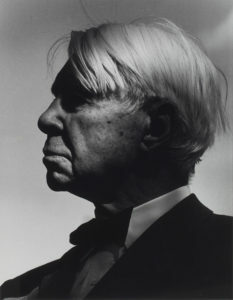 Unique in American literary history is the cross-pollination of Sandburg’s work. His journalism influenced his poetry, which in turn colored his work with the great biography of Abraham Lincoln. The movies he saw and reviewed stimulated the fertile imagination from which he harvested more poems, children´s stories and newspaper pieces. His work as biographer- historian augmented his work as folk musician, collector of folkmusic, and performer. Carl got the interest in reading from his mother and the discipline from his father. His father, who had worked at various farms in Sweden, started as a ranger when he came to the United States and then worked for more than 30 years as a blacksmith helper for the Railroad in Galesburg, Illinois. The working time was ten hours a day six days a week without holidays. He was rarely ill. In his spare time he handled his own house and the garden and eventually achived the goal of being debt free. In half of the house he lived, the rest was rented out to new Swedes who came to town. He did not smoke, did not go to the pub, and tasted liquor only as medicine. He could read but did not write and important documents he signed with an X. The last years until his death in 1910, he worked as his own craftsman and then earned more than he ever had as blacksmith helper. August was very skilled in his profession thanks to everything he had learned as a farmhand on the farms in Sweden. August loved working, something Carl later in his life also kept in mind. Throughout his life, Carl kept his father’s Swedish hammer as a emblem of work, hope and pride. The hammer is now visible at the Sandburg Museum! 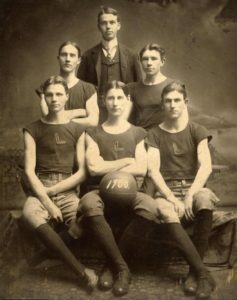 August changed his name from Danielsson to Sandberg and later to the more American Sandburg when he arrived in Galesburg. There were already many Danielssons in Galesburg and sometimes he got the wrong paycheck! In the 1880s when Carl Sandburg grew up, demonstrations for the eight hour working day (six days a week) began to be commonplace. Carl was allowed to accompany his father to these demonstrations, and he identified himself early with the workers and their conditions. Carl became aware of politics when he was very young, something that followed him throughout his life. He read a lot and was curious about what was going on in society. He often attended lectures on social issues. He went to trials and experienced how different people were treated depending on where in the community they belong. And not least, he often went to the Auditorium, the theater of the city, usually free for helping with different chores. From the age of eleven, Carl started to contribute to his family’s livelihood. A period in the late 19th century led America to an economic downturn and it was important that the contributions came from as many as possible in the family. As a result, Carl had to quit school while his older sister Mary was allowed to continue. Carl Sandburg started his working life with low expectations. When he left school at the age of thirteen, his main goal was to find a fairly solid job that was not too boring. He tells in his autobiography Always the Young Strangers that he had a long line of simple work in his hometown of Galesburg but also worked for a period around the middle of the United States. For several years Carl had typical boyhood jobs – delivering newspapers, shining shoes, working on milkroutes. Later when he worked full time he was a hairdresser´s assistent, window cleaner, painter and wintertime he saw the ice that was used before the refrigerator became common. Galesburg is a railroad junction out on the prairie southwest of Chicago, with engine sheds and blacksmith´s workshops. At this time, one third of the inhabitants were Swedes or Swedish descendants. It was the railways that made the world come to Galesburg. 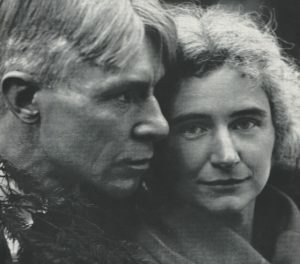 They did not have to travel but that was something Carl Sandburg needed. At the age of nineteen, in June 1897, he decided to be a hobo for a while. The world around him attracted. Carl wrote in his autobiography; “I walked out of the house with my hands free, no bag or bundle, wearing a black-sateen shirt, coat, vest and pants, a slouch hat, good shoes, no underwear, in my pockets a small bar of soap, a razor, a comb, a pocket mirror, two handkerchiefs, a piece of string, needles and thread, a Waterbury watch, a knife, a pipe and a sack of tobacco, three dollars and twenty-five cents in cash.” Interrailing became an important period in Carl Sandburg’s life. He collected impressions that he later used in his authorship. He listened to songs, poems and stories he wrote down or reminded. He met all types of people who lived a wandering life, some volunteers, but most of them had escaped from something. This was the beginning of the life that later came to contain a constant traveler. 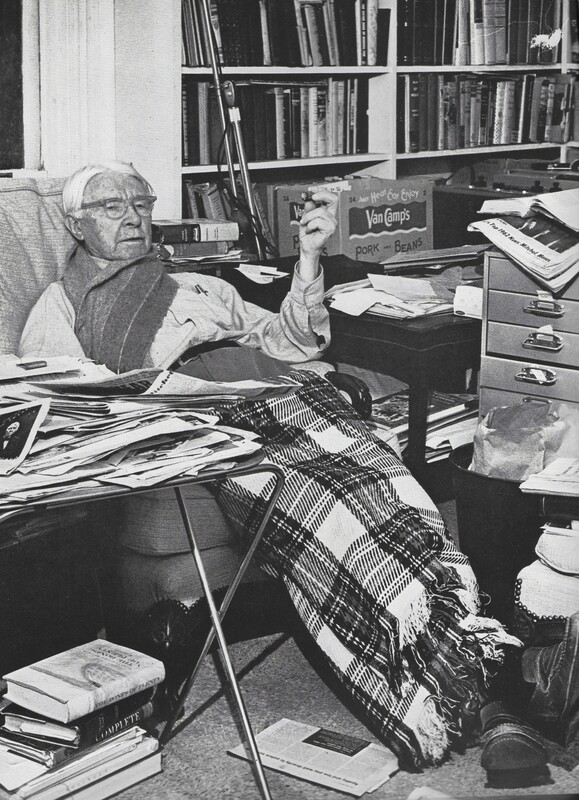 Carl Sandburg called himself “the eternal hobo”. When he came home from the journey that stretched around the middle of the United States and contained so many new impressions, he had difficulties to return to the quiet life of Galesburg. With shopmen and neighbors often asking him about Carl and the war, it made a deep impression on him. Now he was sure he was an Americanized citizen with a son who has defended his country. Thanks to his time as a veteran of the Spanish and American war, Carl Sandburg received a free space at Lombard College in Galesburg. He writes that he had “walked barefoot over all sidewalks, paths and corners of its 13-acre campus” growing up in Galesburg; however, his experiences as a student gave him a new appreciation of Lombard. “I went to college and learned what it is they do at colleges. I learned about professors, how many kinds there can be of professors,” Sandburg writes. 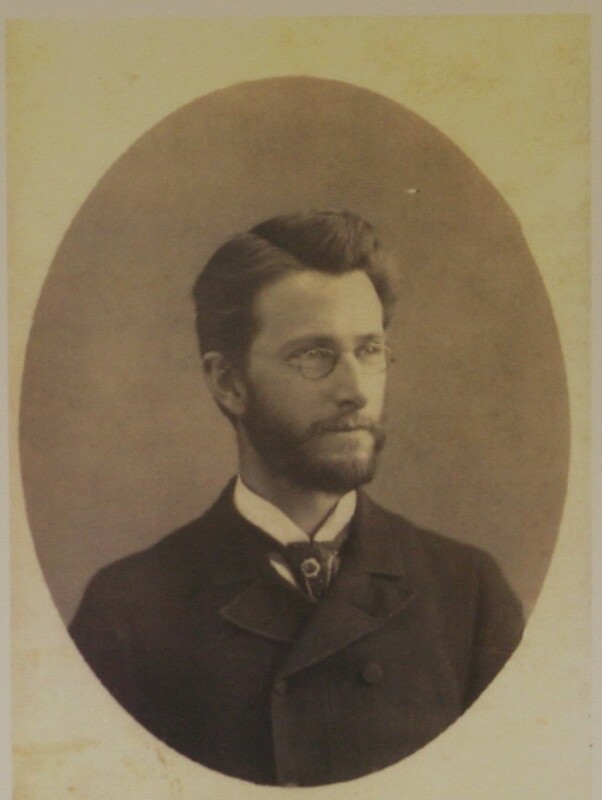 Perhaps the most influential faculty member on Sandburg was Phillip Green Wright, who among other subjects, taught poetry. He organized a writer’s club, and Sandburg writes that Wright had an enormous impact upon him. Lombard College itself was an example of this diversity for Sandburg. “The Lombard students came from plain folks mainly, from the working class and middle class. There were daughters of bankers and merchants who mixed freely and easily with the children of farmers and mechanics.” Lombard was the second school in the country of college grade to open its doors to men and women on equal terms, and among the first to place itself on a non-sectarian basis. Studying at college at this time, according to American educators, was a way of shaping character beyond what can be given in classrooms and libraries. In fact, it was the main purpose. The idea that under four years of internship you can strengthen the personality of better-educated children has a long history, but in the late 1800s under social pressure, two new ideas also emerged. One was that college studies should develop a new middle class. The other idea, revolutionary for its time, was that some talented children from the working class would be able to study at some special college even though they lacked formal qualifications for higher education. Lombard was at that time such a college! The theory behind this was simple, clear and apparently versatile. Enlisted children from the working class should be given the opportunity to develop over their prerequisites, exposed to culture and good ideas of their teachers, to develop their language, taste, behavior and self-confidence. The hope was that these young people would serve as an example of other children from the working class and, more importantly, act as living evidence of social mobility in the United States. We should remember that at this time in the United States only about two percent of an age group got the opportunity to study at college! Carl Sandburg could serve as a brilliant example of this social engineering art. When he enrolled at Lombard College in 1899 he came straight from the working class; “He looked like a job crab, a raw barked fresh boy” according to his favorite teacher. When leaving college in 1902 he is a cultured gentleman, a good example of a well-behaved, eloquent, thinking and socially aware young person. Sandburg himself remembered his transformation while at college with joy. He links his college experience to his successful start as a writer. He studied English, Latin, Chemistry, Mathematics, Sociology, Drama and Rhetoric. To finance his studies, he worked extra at The Fire Station and was allowed to leave the lessons if the fire alarm went. He worked hard with his studies to recover what he had lost since he had to finish school at the age of thirten. Meanwhile, at college, he often wrote in the school’s newspaper, participated in literary contexts and practiced a lot. In basketball he was the captain of the team and he liked baseball. He was a member of the “Poor Writer’s Club”. Philip Green Wright, his favorite teacher, later became a prominent economist at the prestigious university at Harvard. The influence extended well beyond the classroom and Philip Green Wright welcomed Carl and several other students to his home. In part, he introduced Carl Sandburg to American literature, and he taught him political and economic theory. ” I had four years of almost daily contact with him at college, for many years visited him as often as possible”. 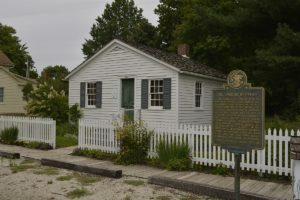 Wright had a printing press and all the other equipment at home in his basement needed to publish books and from here came Sandburg’s earliest literary articles. Philip Green Wright and Sandburg also continued their friendship after Lombard. Sandburg left college in 1902 without a degree but he still got what he wanted. Sandburg´s college years shaped his literary talents and political views. He now knew that he would devote himself to reading many books and dealing with different types of writing. Between 1902 and 1907, prior to perfecting his own style, he worked as a salesman, read a lot and published his first poems. He discovered Walt Whitman in earnest in 1903 and discovered the free verse’s blessing. The following year he visited Camden, New Jersey, where Whitman lived to his death in 1892. In 1906, he definitely left his hometown to seek his luck in Chicago and Milwaukee. He got temporary jobs as a journalist, he wrote advertisements but first and foremost he met like-minded people who believed in his ability. During this time he met his prospective wife, Lilian “Paula” Steichen, whose brother Edvard Steichen was already a famous photographer. Paula was a Latin teacher and an organizer for the Social Democratic Party in Milwaukee. Now an intense political period for Sandburg began. His great interest in politics since childhood now had time to develop. Sandburg was given a separate area outside Milwaukee where he should try to recruit sympathizers to the Social Democratic Party. He managed so well that he soon belonged to the innermost circle in the party and later became a campaign leader for the Social Democratic presidential candidate Eugene V. Debs. Debs ran as a candidate for President of United States five times between 1900-1920. Then for a period he was secretary to the mayor of Milwaukee Emil Seidel, who was the country’s first Social-Democratic Mayor. Then he had also been the campaign leader for a major antituberculosis campaign. Now he had both gotten married in 1908 and had his first child. With the support and inspiration of his wife, he began to write more and more, and his party-political commitment declined. He had more and more poems published and at the same time he worked as a journalist at various newspapers. Sandburg is now, in 1914, thirty-six years old and in the next twenty-five years he will be extremely successful and productive as a writer while working as a journalist. He publishes numerous poetry collections, writes children’s books, and writes a six-part biography about President Abraham Lincoln. He lectures literature throughout the country and often ends these lectures by entertaining the audience with guitar music. THE POET In March 1914, a collection of his poems appeared in Poetry, a magazine of Verse, a small local publication in Chicago owned by Harriet Monroe, who belonged to a famous Chicago family. Since its founding in 1912 Poetry has presented – often for the first time- virtually every significant poet of the country. 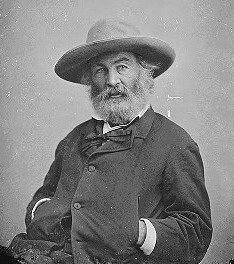 From Walt Whitman she took her motto for Poetry; “To have great poets, there must be great audiences too”. March 1914 is important for Sandburg also for other reasons. The great Irish poet and playwright William Butler Yeats was coming to Chicago for a week of lecture engagements and he was the guest of honor at a banquet arranged by Poetry. A lot of important people are present and Carl Sandburg and his wife are also honorary guests. Sandburg was deply moved to hear the great poet speak of poetry with a vision kindred to his own. Sandburg now felt that he was on the right track and that he was established and respected! In the next few years he is a very productive poet while at the same time serving as a journalist on various newspapers. In the beginning of 1916 his first poetry book, Chicago Poems, was published. He wrote poems about Chicago – the “stormy, husky, brawling” life of the city and the lonely peace of the prairie. He wrote about real people with real problem. The city and the prarie are central entities in Sandburg´s life as well as in poetry. The poem, Chicago, about a young city in a young nation marks the beginning of Sandburg´s official poetic career. Sandburg had arranged the Chicago Poems into different sections. The first that begins with the poem Chicago presents often harsh portraits of the city and its people and sometimes deeper portraits of different groups and different individuals. -How ordinary workers are, how they behave, what they believe in, their expectations, their strengths and weaknesses and their social relationships. -Early poems about thoughtful reflectionons on death and loss, the meaning of the past and the possibility of the future. -Lyrical poems with themes of love and memory, restless searching for self and meaning. -Exploration of women by men and by themselves. -Portrays of heroes and anti-heroes. The poetry book can be said to be a summary of Sandburg’s past experiences in life. Sandburg became known for his free verse poems celebrating industrial and agricultural America, American geography, landscape and the American common people. He passionately championed for those who did not have words and power to speak for themselves. He used ordinarie speech to make his points and short brief sentences. The powerful formal freedom of the poems caused fierce debate, but gave Sandburg soon a leading position in literary America. A wide audience was beginning to listen to Carl Sandburg. He offended many but the poems spoke in new ways to readers who liked his use of free verse and realistic subjects, to human experience as well as to the American experience. Sandburg both enjoyed and resented the disparate judgement passed on his controversial books, but the attacks by some members of the literary establishment reinforced his sense of being an ousider (Always a Young Stranger). Carl Sandburg has now made Chicago his city and himself the poet of Chicago. Sandburg continued to speak to and from the heart of the American life and he was well on his way to becoming the Poet of the People. THE POET AND HIS STYLE It was during this period that Sandburg was recognized as a member of the Chicago Literary Renaissance, which included among others Theodore Dreiser, Sherwood Anderson and Edgar Lee Masters. Most of these writers were originally from small Mid- Western towns. The Chicago Literary Renaissance took place from around 1912 to the mid-1920s. The Industrial Revolution created a demand for jobs in the city, leading to urban populations growing at a fast rate. The renaissance also encompassed the revitalization of journalism as a literary medium for writers such as Sandburg associated with Chicago newspapers. Writers and poets sought to depict these new urban spaces in a realistic way, picturing the rise of city slums and the failure of cities to fullfill their promised reward for hard work. Those involved felt that the realities of dirty city life had become too materialistic and had led to a loss of the traditional rural values of the exploited lower class. There was also a connection with tradition. A name that immediately pops up is Walt Whitman. Whitman is Sandburg’s idol and America’s great 1900th century poet. Whitman´s free, unrhymed, uninhibited style of writing poetry especially appealed to Sandburg and he began to imitate him. It is obvious that Sandburg, with his style of writing and his admiration for Whitman, made a bridge to his paternal Sweden and became an inspiration for the breakthrough of literary modernism in Sweden. Swedish writer and Nobel Prize winner Harry Martinson, told before perfecting his own style, “I imitated Sandburg as closely as I could”. 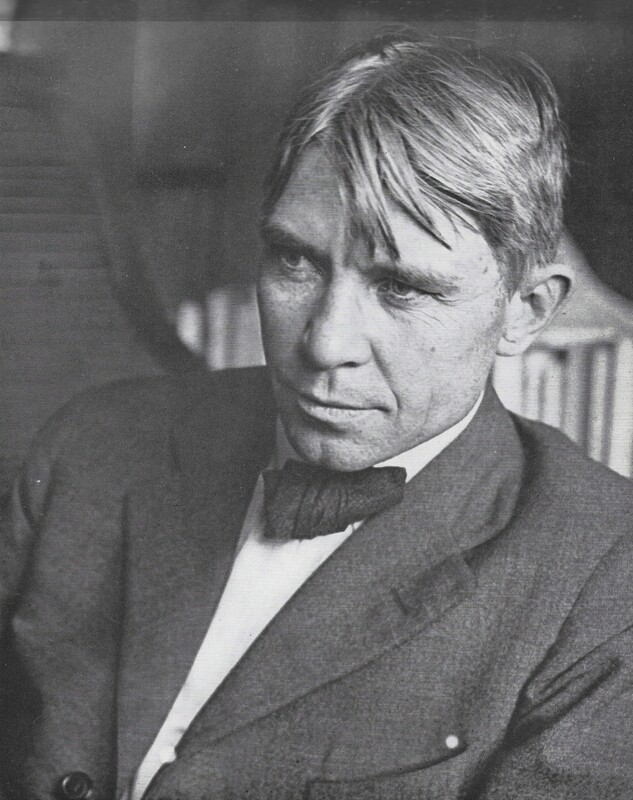 When another Swedish writer, Artur Lundkvist, in the late 1920s, began reading Sandburg he presents Carl Sandburg in the following way: “In American poetry, Carl Sandburg is the most representative poet, with an energy and dynamism in his poems related to the country’s own manifestation of modern industrial America. Sandburg continues Walt Whitman in a new era.” Sandburg never forgets that the people are human. For him the individual is always at the center therefore he does not write about the complex America but about Chicago. His personal style has so many shifts and hides so many voices. He studies the world as it is; wonderful, terrible, wise, grotesque. But he would never mind asking for another world in its place. Sandburg can be violent, almost brutal when he describes the fate of the big city. He can reveal human need and humiliation so that it hurts to read it and it is also his intention. But he is not satisfied just to find out. It seems like he wants to stay close to what he reveals, ready to help wherever he can. In poetry you notice his heart beat. It is partly what makes him so popular. President Franklin D Roosevelt’s ideas in “The New Deal” of a better life for all Americans after the depression have now been realized and Sandburg, as a major supporter and friend of the president, communicates in this poetry book his own and the American people’s overall experience of joy and sacrifice to achieve a better and more valuable life. Sandburg is largely a journalist, a reporter who sets up his poems as a story. His way of writing with often multi-faceted verses reminds strongly of the prosperity that stands for greater openness for current tendencies and greater freedom to follow the spontaneous messages of the imagination. His great poetic work, The People Yes, was published in 1936 and is an odyssey deep into the American experience which Sandburg now had begun to see as a hopeful symbol for the universal human condition. Sandburg, whose father never learned to write, became America’s national poet, the Poet of the People, the common man’s poet. His Complete Poems was published in 1950. The definitive collection contains the full body of his poetic work and spans the years from 1910 to 1950. In the volume are all the poems contained in his six volumes of poetry – Chicago Poems, Cornhuskers, Smoke and Steel, Slabs of the Sunburnt West, Good Morning America, The People Yes and a new section of seventy-two poems. THE JOURNALIST Carl Sandburg worked as a newspaper journalist for 25 years. The longest time he spent on Chicago Daily News. Sandburg was a reporter on social issues, film critic, columnist and he produced editorials. Most motion pictures of the time were derived from books or stage plays and Sandburg applauded the orginality of Chaplin. His motion picture reviews took the form of commentary more than criticism. He was one of the first critics to see the educational promise of film and the power of film to bring the world to the movie audience. He also often reacted to how historical facts are distorted in films! “I never was any good in synchronizing with editors or publishers, except when I was a police reporter, then I would have the murder in the paper before the corps was cold,” Sandburg said. Sandburg´s years on the Daily News were immensely creative and productive, in part because of his ability to work in so many different fields. He had great respect for his publisher at the Chicago Daily News, Victor Lawson, who headed the newspaper from 1876 to 1925. Outside of the newspaper business, he was involved in various philanthropic causes in Chicago In May of 1932, as the Depression wore on, Chicago Daily News reduced all salaries in half. Sandburg resigned and gave his time and energy exclusively to the Lincoln work. On his own children, with the nicknams “Spink”, Skabootch “and” Swipes “, he tests his stories. Sandburg creates in the fictional Rootabaga country – a special universe with its own geography and its own way of life. Much of the comedy in the books about Rootabaga, Rootabaga Stories, Rootabaga Pigeons Rootabaga Country and More Rootabagas, lies in the way Sandburg names people and places. He plays with sounds and concepts. As a common thread through the stories, Sandburg plays with letters in the alphabet. On your way to Rootabaga you passes Over and Underland. Nobody gets out of the way for somebody else. Either you go over or under. Major cities in Rootabaga are Village of Liver-and-Onion and Village of Cream Puffs, and in the country there is also a city hidden under a grassy farm, where only spiders live. The cities do not only accommodate their residents, they live their own lives. Here there are hares, mice, ragdolls and human brush handles, mixed with taxi drivers, policemen, movie actors and firefighters. The skyscrapers talk and feel, railroad tracks change from straight to zigzag, the city and it´s skyscrapers are reduced to manageable size, compressed so that they are easy to control and cope with. Rootabagians live by a clear, gentle and dignified ethical code and the stories are largely free of violence. Children allow themselves to decide their own names, which testifies to a strikingly modern childhood vision. One central character in the stories is the Potato Face Blind Man, wise and cheerful, who plays the accordion and collect silver dollars. He is located on main street next to the Post Office in the Village of Liver-and-Onion. He always has time to start talks, tell stories or give philosophical comments. He is wearing a sign with the text, I am Blind TOO! There are so many people who have eyes but see nothing with their eyes. Sandburg did very little moralizing! Bimbo the Snip does get his thumb stuck to his nose when the winds change while he is making a face at the iceman. Sandburg´s mother used to reprimand him with that familiar childhood threat! He regains his thumbs freedom only after it is hit six times with the end of a policema´s club. Government in Rootabaga Country is, on its surface, delightfully complicated. In reality, it parodies political conventions and parties. In the portrayal of life in Rootabaga, imagination and reality are combined with details from Sandburg own life. According to Sandburg, the name Rootabaga has Swedish origin. A “rutabaga” is a large, yellow, Swedish turnip that Sandburg Americanized to Rootabaga. ABRAHAM LINCOLN Carl Sandburg grew up in a community where the presence of Abraham Lincoln was still felt. 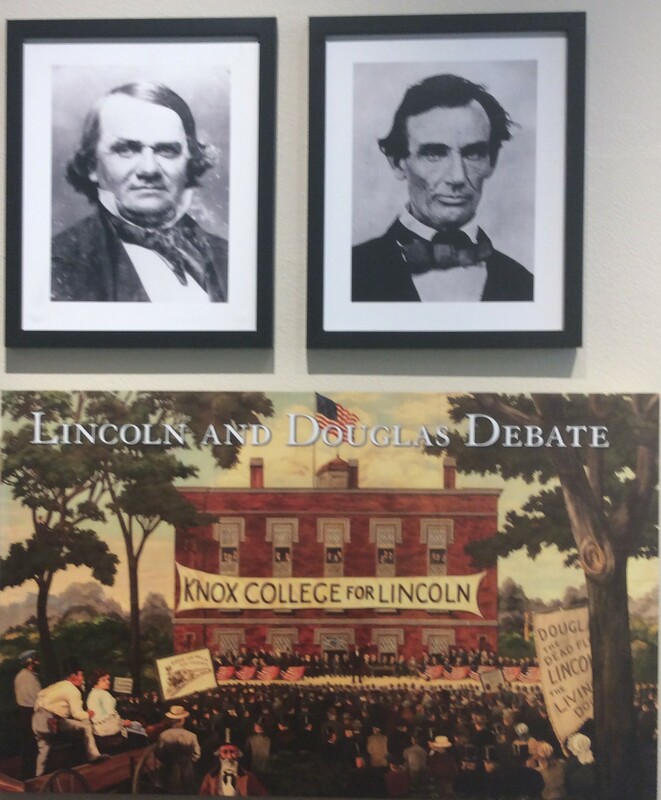 Citizens of the town had known or voted for Lincoln, and one of the Lincoln-Douglas debates had taken place at the Knox College campus in Galesburg in 1858. Since boyhood he had admired Lincoln. He had grown up listening to the talk of people who saw Lincoln with their own eyes, and heard him speak. Galesburg was full of Lincoln History! Abraham Lincoln who became Sandburg´s lifelong obsession grew up in the same area in Illinois as Sandburg did, and in the early period of his professional life Sandburg presented Lincoln as a man of the people who arose from the poverty of the frontier to a great eminence. Abraham Lincoln was a lawyer at this time and was the nominee for the Republican party in the election of 1860. Stephen Douglas was a Senator with great influence and he was the nominee for the Democrats. Lincoln was elected President of the United States and the southern states left the Union in April 1861 and the Civil War was a fact. The commercial and critical success of the Rootabaga Stories encouraged Sandburg to think about another book for young people. There was no good juvenile biography of Abraham Lincoln and he began to consider writing one. FIRST VOLUME – THE PRAIRIE YEARS For years Sandburg had been collecting Lincoln material and had enough by 1921. He and his publisher Alfred Harcourt began to talk about a biography, four hundred pages long, written in simple language för young people. As Sandburg began intensive work on the biography, he realized that a great deal of the material called for more mature treatment and his proposed one-volume book grew into two volumes. It was already clear that the biography would not be for young people alone. He realized that much of what he writes fits better for an adult audience. Sandburg´s publisher set publication of the book, The Prairie Years, for Lincoln´s birthday February 12th 1926 and 10.000 copies were sold in advance. The volyme covered Lincoln´s prairie years, ending with the election and departure for his inauguration as President of the United States. But before the release, from Sept 1925, a magazine, Pictorial Review, published five installments of the book. Sandburg got $ 21,600, an almost unimaginable amount of money for the author. It corresponds approximately to the same amount of money his father earned, for more than 30 years, as a blacksmith´s helper. His father had died already in 1910 but his mother Clara Mathilda Andersdotter from Appuna in Sweden was full of pride in her son´s work and his great achievements. She died in December 1926. The Sandburg family, now made up of five people, can live a much more lively life after this economic lift. The critique of the Lincoln biography was generally very good. Some historians, objected to the lack of footnotes and to Sandburg’s poetic method of imagining Lincoln´s thoughts. Several objected to such an unorthodox writing of history! Literary critics, however, praised his work. 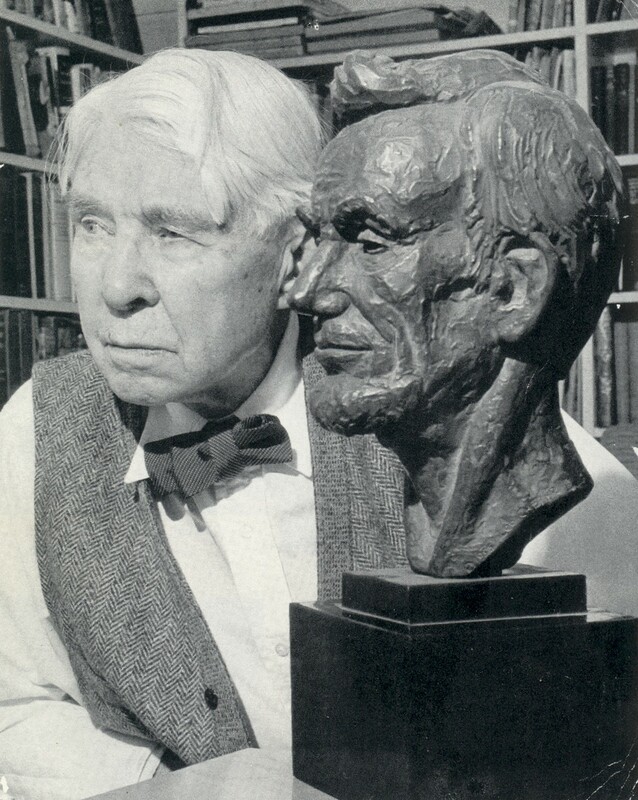 Mark van Doren, who himself had written about Lincoln, wrote in The Nation; “It’s Sandburg the artist, the epic poet who has attacked this largest and most complicated subject. The subject being, of course, not merely Lincoln himself. Though Lincoln was complicated enough, but in addition the whirpool of cultures out of which he was flung into fame” Sandburg did not originally intend to write about Lincoln the President. Further he lacked support from university or foundation to subsidize the massive research to cover the years 1861-1865 of Lincoln´s life. Sandburg took a breather from his Lincoln Research but by 1928: “I made my decision, without telling it to anyone, that I would take my chanses on doing the war years.” He continued to work as a journalist at Chicago Daily News and at this time he received more lecture invitations than he could accept! He began to plan his lecture schedule with three purposes in mind: “to entertain his audiences, earn the much-needed money and put himself close to important sources of Lincoln material.” Whenever possible he arranged his trips to meet Lincoln scholars, and to travel to American cities where there were libraries with primary Lincoln materials. It was long before the day of inexpensive photocopying, he had to make notes from documents or have expensive photocopies made. THE NOVELIST Sandburg had been discussing with Metro-Goldwyn Mayer the idea for a full-length novel and feature film about American life. It was to “depict the courage, foresight and fortitude of the people who built up the nation” and those who followed. That novel was never written but was the germination of his big novel Remembrance Rock. The novel took almost five years to complete and it ran over a thousand pages in length. It actually was broken into five independent parts, a prologue, and an epilogue – each narrative covering a different era in America´s history: “what the American people, the American flag, the Amercan citizen stand for in relation to the world scene and the widespread family of man over the earth.” The Prologue, set in the 1940s during World War II; Book one, “the First Comers,” about the Mayflower ship (1620), Pilgrim and Puritan Years; Book Two,”The Arch Begins,” set during the American Revolution (1775-1783); Book Three, ” The Arch Holds,” about the Civil War era (1861-1865); and the Epilogue, “Storm and Stars,” set at the end of World War II (1945). Remembrance Rock was another form through which Carl Sandburg expressed himself and it was yet another form through which he expressed his fascination with and devotion to America and her promise. It really was a panorama of American history. He had sets of characters in each area of American history. Also this novel was written at the request of a film company – but Remembrance Rock was never made into a Hollywood film. The fundamental reason, however, was the book itself – far too complex, too vast for adaption, too ponderous and overwhelming to be reduced to a movie script. The novel is, like the Lincoln biography, full of proverb, anecdotes and folklore. Sandburg was having serious difficulties with his huge often chaotic manuscript. The book slowly grew into proportions beyond expected! Sandburg´s friends and fans had flooded his mail with letters of praise for the novel when it came out in 1948. On the whole however, critics were not enthusiastic but it sold well on the strength of Sandburg´s name alone. 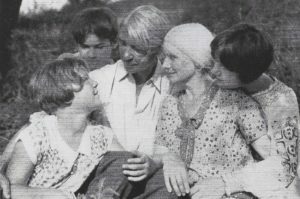 The novel is a testament to Sandburg´s love for his country and for the universal “Family of Man” and it was his first and only novel. HE HAD HEARD AMERICA SING Carl Sandburg was a great collector, connoisseur, scatterer and patron of folk music. He had heard America sing on his many travels. He had collected songs since his hobo days filling his pocket notebooks with lyrics and devising his own simple notation systems to jot down melodies Eventually, people from all over the country sent songs to him. He entertained audiences with guitar music and in 1927 he published one of the first collections of American folk music with notes and arrangements for each song. It was called The American Songbag and included 280 folk songs, many of them published for the first time. Everywhere he lectured people flocked him with songs. Often he sang the night away with hosts on college campuses or in towns where he magnetized those who shared his pleasure in making music. Because he loved the language of ordinary Americans, he collected sayings, slang and folklore, stories and songs people shared with him in the small towns, cities and farms he visited. 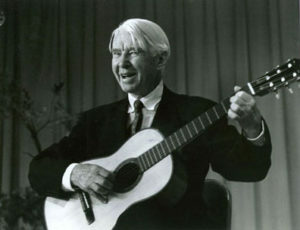 “I have gone hither and yon over the United States meeting audiences to whom I talked about poetry and art, read my verses, and closed a program with a half – or quarter- hour of songs, giving verbal footnotes with each song”, Sandburg said of his life as a troubadour-historian. “These itineraries have included now (1927) about two-thirds of the state universities of the country.” The American Songbag comes from the hearts and voices of thousands of men and women. They made new songs, they changed old songs, they carried songs from place to place, they resurrected and kept alive dying and forgotten songs. Sandburg also believed that with the help of these songs, one can study both geography and history in such a way that answers can be given on oral and written school tests. People recommended adding harmonizations or piano accompaniments to the book”else it would not be a book which could be stood up to the piano in meeting-places and homes for ordinary folks to play accompaniment and the rest of the crowd to sing.” Musicians, folk singers and other music experts helped him with the compilation. One of those who helped him most was Ruth Crawford, pianist and composer. In later years she would be the stepmother of folk musician Pete Seeger. The American Songbag inspired Alan Lomax, the American folkmusic guru, to continue documenting the gold mine of folk songs available from the American people. He collected material first with his father, folklorist and collector John Lomax and later alone and with others. Lomax’s greatest legacy has been in preserving and publishing recordings of musicians around the US and Europe. Already in the early 1930s he interviewed many forgotten artists, interviews that are still available. The purpose was to restore the music he recorded, to those who created it and to whom it was created. The tradition such as Sandburg and even more Alan Lomax engaged got a renaissance with the late 50’s and early 60’s revival interest in folk music. First with artists such as Josh White, Pete Seeger and Burl Ives. Later with Joan Baez, Bob Dylan, Peter Paul & Mary and others. Josh White, who during this time, performed several times in Sweden, introduced American folk music in Sweden. 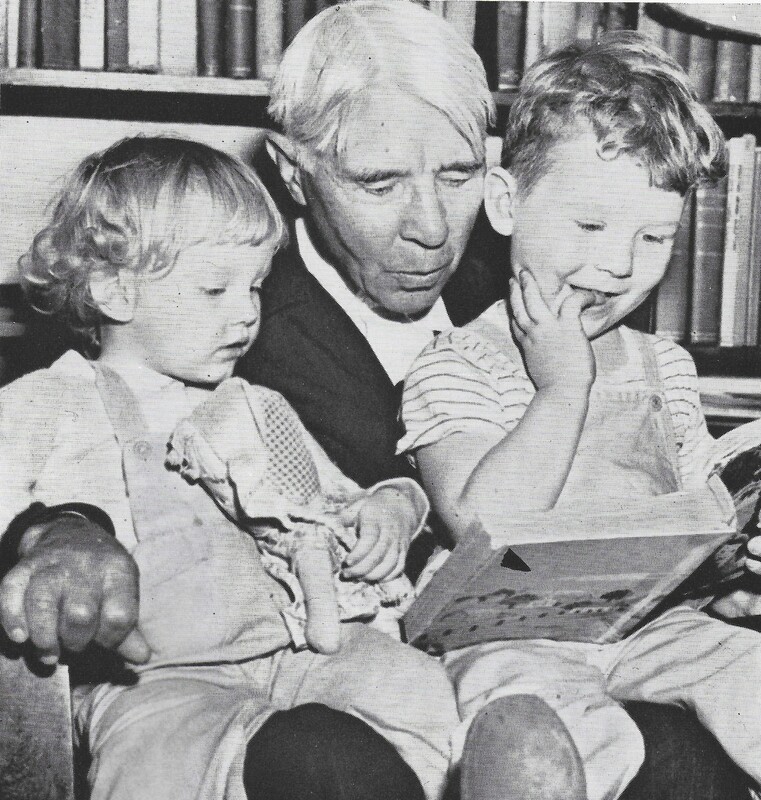 Carl Sandburg was a national celebrity for more than fifty years.He lived in the center of his time. He was, much more than other contemporary writers, socially and politically involved. He became interested in politics as a child. He was, for a period from 1910, private secretary of the first Social-Democratic Mayor of the United States in Milwaukee. 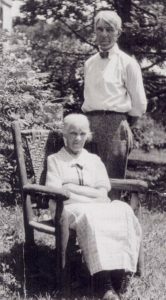 Both Carl and his wife Paula were at this time active members of the Social Democratic Party. He left the party in 1916 partly because, as a journalist, he wanted to be independent, and partly because he didn´t find himself comfortable in collectivism. His withdrawal from the party coincides with the time of the United States’ unavoidable entry into the First World War. 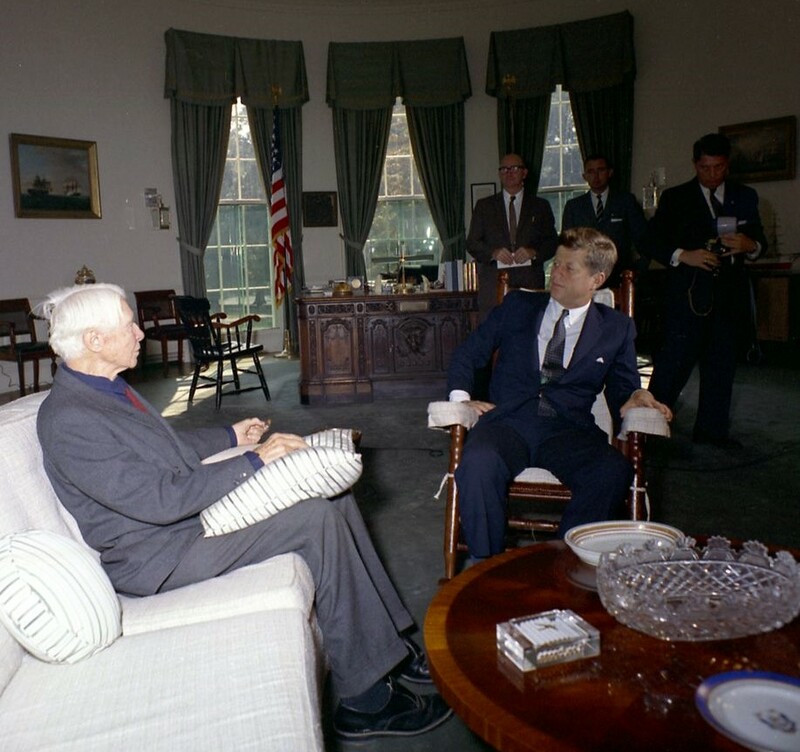 Many radicals in the United States refused to support the United States’ participation, but Sandburg quickly gave his wholehearted support to the president: “I suspect that President Wilson is doing more for working class internationalism than the American Socialists.” He was later acquainted with all democratic Presidents from Franklin D Roosevelt, Harry Truman, John F Kennedy to Lyndon B Johnson. Something quite unknown in Sweden is that he during the Second World War defended and explained Sweden’s standpoint as “a neutral country” for the Americans. He did it together with Elsa Brändström, Sweden’s Florence Nightinggale, and the Norwegian writer Sigrid Undset. In many different lectures and in front of radio microphones, he explained the Swedish motive. When President Roosevelt decided, in great wrath, that the United States should enter the Second World War to help Europe, Sandburg, in contrast to many other intellectuals, gave immediate support. He wrote news articles where he pointed out what could happen to Great Britain against the Nazis: “if we do not help them enough”. Carl Sandburg was in 1942 heavily involved in a subscription among Swedish-Americans, for purchasing of training aircrafts, to support the Norwegian exile Airforce in Canada. The subscription succeeded, and Sandburg later attended the delivery of three Fairchild-aircraft called Sweden I-III. For all his fame, he remained unassuming. What he wanted from life was: “to be out of jail…to eat regular….to get what I write printed….a little love at home and a little nice effection hither and yon over the American landscape…..and to sing every day.” And if ever a man was heard by those he wrote for, it was Carl Sandburg. This was his great achivement! In September 1967 a national Carl Sandburg tribute took place at the Lincoln Memorial in Washington. A lot of people from the political establishment attended. The Vietnam War was going on, despite that, President Lyndon B Johnson arrived unannounced. It shows the importance Carl Sandburg, “The Poet of The People” had for the American people. “I am both honored and saddened by the opportunity to join today with Carl Sandburg’s friends in celebrating that vital, exuberant, wise, and generous man. Carl Sandburg was more than the voice of America, more than the poet of its strength and genius. He was America. We knew and cherished him as the bard of democracy, the echo of the people, our conscience and chronicler of truth and beauty and purpose.” President Lyndon B Johnson. Carl Sandburg’s last home Connemara in North Carolina, where he lived for 22 years, is today A National Park. He is buried at his birthplace in Galesburg, IL beneath a granite boulder called Remembrance Rock. August Sandburg 1843-1910, Born in Åsbo, Province of Östergötland, Sweden. Died in Galesburg, Illinois, USA.